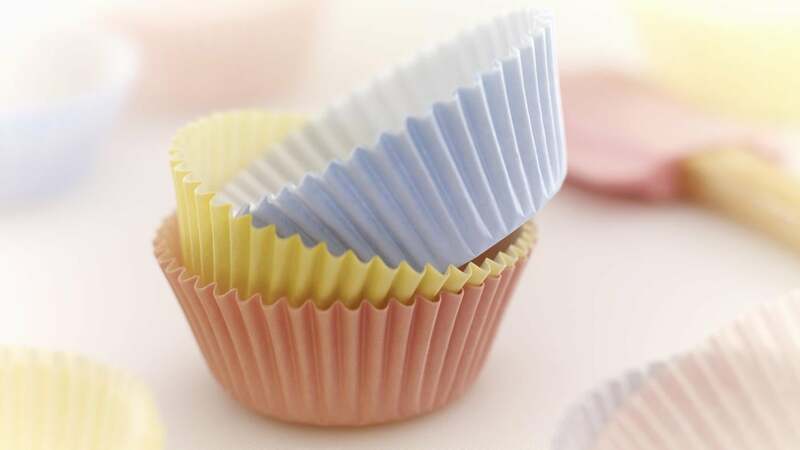 Cupcake papers, also called liners or wrappers, are thin, round pieces of paper shaped into fluted cups that sit inside the cups of a muffin tin to encase cupcakes and muffins. They are used to maintain moisture and stability, improve sanitation and make cupcake removal easier and less messy. As of 2014, cupcake liners are available in a wide range of papers, including white, tinted, foil and glassine, which is a translucent air- and water-resistant paper. Specialty cupcake liners incorporate decorative prints and shapes to add a festive touch to the popular dessert. Cupcake liners, which are available in several sizes ranging from miniature to jumbo, can be found at grocery stores and specialty baking supply stores both locally and online. What Is an Easy Red Velvet Cupcake Recipe? What Is a Highly-Recommended Cupcake Maker for Kids? What Are Some Baking Games That Young Children Can Play?